For the last year or two, Matthew Dentith has organised twecon. And this year, I decided to take part. Heaven only knows why. 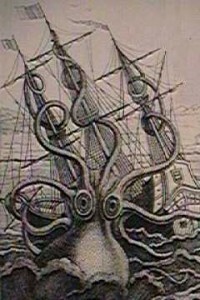 After asking people for suggestions about a topic, a number of things kinda melded into one and I decided on ‘Robots and tentacles: the Singularity as Kraken’. And today, it was necessary to _submit_ said tweetage. After thashing my braincells a little, plus a couple of iterations and the advice of a mate, I spat something out.